Why Should I Repair My Crawl Space? Mold, rot, pests, flooding, cave-ins.... the experts in the Basement Systems Network have seen it all! Our headquarters has received thousands of photos of crawl space disasters over the years! You'd be amazed at what our experts find! The phrase "out of sight, out of mind" never rings truer than when it comes to crawl space repair! 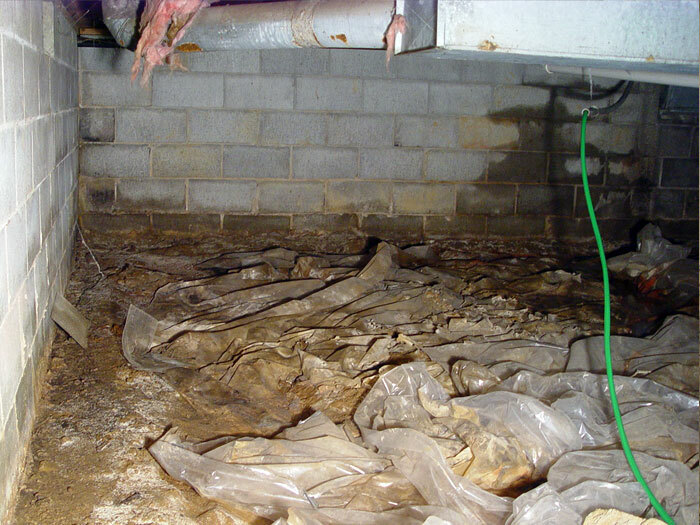 In our industry, it's not uncommon for a homeowner to allow rot, mold, and pests to continue to damage their crawl space for months, years, or more! That's a lot of time to let the damage develop -- and what an inconvenient situation to live with! If you're planning on repairing the crawl space eventually anyways, the best time to repair is right now! Repairing your crawl space is painless! 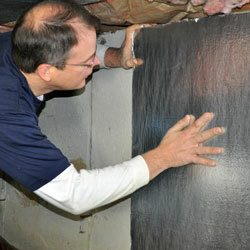 A crew of our crawl space experts can usually repair a crawl space, start to finish, in less than a day. 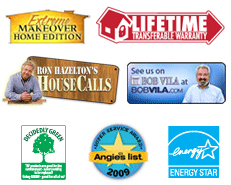 Each completed installation includes a written warranty -- one that's measured in decades, not years. This installation is transferable to the next owner of the home, which gives you a great edge when selling! We'd like to meet with you to discuss what we can do to help you repair your crawl space and provide you with a free, written cost quote! To schedule an appointment with your local dealer, contact us by phone or e-mail today! Our free quotes are available to homeowners throughout Canada, the United States, and the United Kingdom, and includes an expert inspection, professional consultation, and a written cost quote. As a courtesy, we'll also mail along a full-color copy of our informative crawl space book before each appointment. In an ideal world, you'll never have to repair your crawl space. When that's not possible, you'll want the next best option -- to repair it once and never have to worry about it again. Unfortunately, many of the crawl space liner systems available on the market these days are made with a thin, flimsy material that quickly punctures and tears underfoot as service workers access the space. Other vapor barriers are installed improperly, lining the floor but not the wall, or are installed without addressing groundwater flooding within the space. Investing in long-lasting, durable products (such as a durable 20-mil liner, or a cast-iron submersible sump pump) are vital steps towards that goal. Your crawl space system will last for decades, and you can rest easy. Crawl space repair is a home improvement investment that pays for itself many times over through the restored value of your home. Sealing your crawl space from outside air saves you significantly on utility costs, while creating a healthier, more comfortable home. Like all other home improvements, repairing a crawl space costs money. And like all other home improvements, several factors will influence the total cost of the job. As part of our free quote, our crawl space experts will inspect and measure the space, answer any questions you have, and work with you to create a cost-effective solution that meets every goal you've set out. Are Energy Efficiency Upgrades Worth It? Your crawl space is home to many things that are best kept in a warmer environment -- including your furnace, air ducts, water heater, and hot water pipes. A cold crawl space will also affect the floor above, making it feel cold and uncomfortable underfoot. However, fiberglass insulation in a crawl space is a source of repeated failure and grief for homeowners, and spray foam insulation is extremely expensive to install. So what options are there? 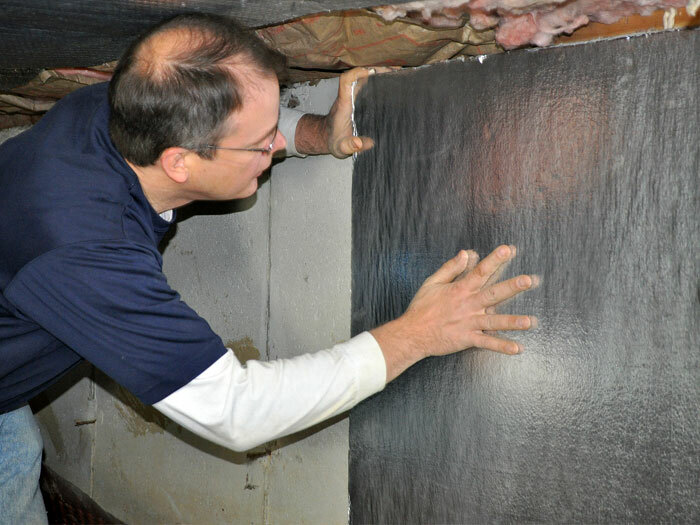 We have innovative solutions for homeowners who seek a cost-effective solution to insulating their crawl space that install quickly and double as a vapor barrier system! Who Should Repair Your Crawl Space? We often come across do-it-yourselfers who have opted to repair the crawl space on their own -- and some of them have done excellent work! However, at Basement Systems, your local dealer will be able to provide you with a written lifetime warranty that can be transferred to the next owner of the home. This can provide a major advantage when selling your home, as the homeowner knows that a company is ready to help them should something go wrong. At Basement Systems, our dealers also have exclusive access to more than 30 award-winning products, including our patented sump pump and drainage systems. We Provide Free Crawl Space Repair Cost Quotes! Before making a final decision on your crawl space repair, it's helpful to have a professional's opinion on the problem. Someone who specializes in crawl space environments will be able to quickly identify sources of moisture and flooding, recognize structural issues, and make recommendations on energy efficient upgrades. 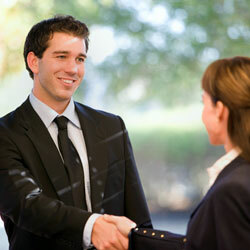 At Basement Systems, it costs you nothing to have your local dealer send a specialist to visit your home! We can measure your crawl space, make any recommendations you'd like, suggest repair options and provide you with a customized crawl space repair quote! Before our scheduled appointment, we'll also mail along a copy of our full-color crawl space book: Crawl Space Science! This is a powerful research tool, packed with everything you need to know about repairing your crawl space, while also providing details about our products and services. Our International Dealer Network proudly serves throughout Canada, The United States, and the United Kingdom. We have a local dealer in your neighborhood that's standing by to serve you! Your crawl space can cost you a lot of money on your home's utility bills! This below-ground space stays cool year-round -- and temperatures can drop even further if cold air is being vented into the space during the winter months. A cold environment in the crawl space will affect everything in the space that should stay warm -- including your furnace, air ducts, water heater, and hot water pipes. As these utilities soak up the cold from the crawl space, they'll be forced to work harder than ever just to perform their day-to-day work. Sealing off the crawl space vents, installing an airtight door, and insulating the walls and floors is a great way to hold back the cold to minimize on this costly issue. Modern insulation products can do double duty -- providing a vapor barrier and insulation at the same time. 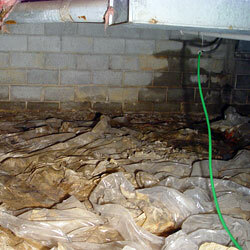 A relatively small issue with your crawl space can quickly develop into a very significant issue in the future. As moisture, humidity, and structural damages continue to develop, they can lead to sagging floors, jamming or sticking doors, damaged insulation within the crawl space, and a musty, moldy odor in the home. Pests such as carpenter ants and termites love a dark environment filled with rotting wood, and they'll be glad to move right in. 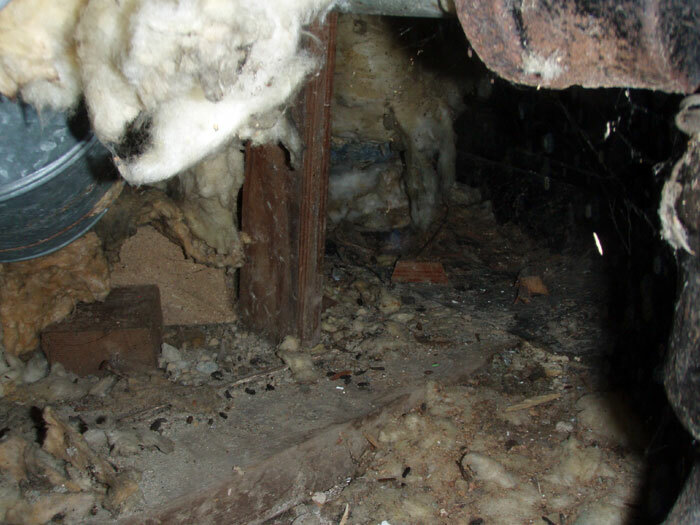 Mice appreciate the damp, dark environment, and will use fiberglass insulation as nesting material. And as the structure continues to deteriorate, it will pull on the structure above, leading to cracks in the drywall. 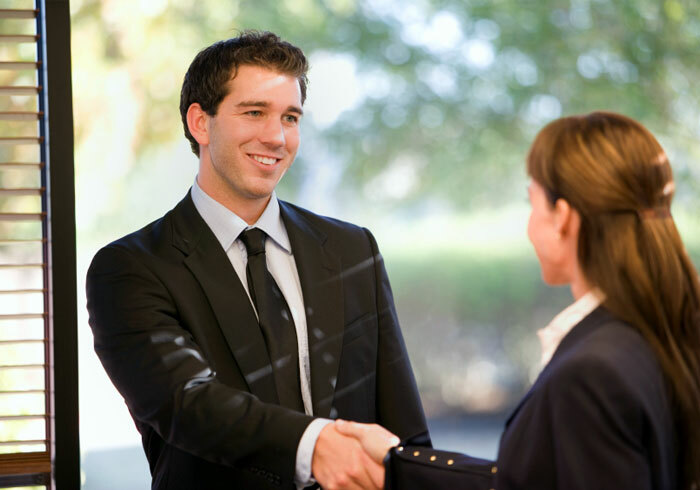 If the problem is addressed early enough, a complete solution can be often be applied in less than a day by our experts. This is the ideal option! As your crawl space reaches 60% relative humidity, it becomes an ideal environment in which mold, dust mites, and mildew can grow. As these microorganisms grow, a musty, moldy smell will begin to fill the space, and the air will become laden with dust mite waste and mold spores. If you show symptoms such a stuffy nose, headache, difficulty breathing, asthma attacks, or allergic reactions that seem to go away shortly after leaving your home, there is a good chance that allergens are the issue. 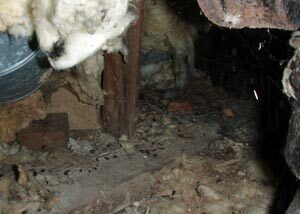 Mold needs warmth, moisture, and food to survive -- and it will always have access to warmth and food in your home. The easiest, most common-sense way to eliminate this problem is to waterproof the crawl space, seal it from outside moisture, and install a powerful, energy efficient dehumidifier.